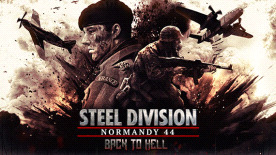 The second major DLC for Steel Division: Normandy 44, Back to Hell features first-ever cooperative play and seven new historical missions (including five in co-op and multiplayer) based on real world operations, where you get to play as 11 never before seen divisions in new historically accurate battles like Operation Windsor and Operation Bluecoat. The DLC also adds four new divisions, 58 new units and two new exclusive Aces. Back to Hell is bringing a whole new realm of gameplay to one of 2017’s biggest RTS titles. 7th Armoured Division "Desert Rats"